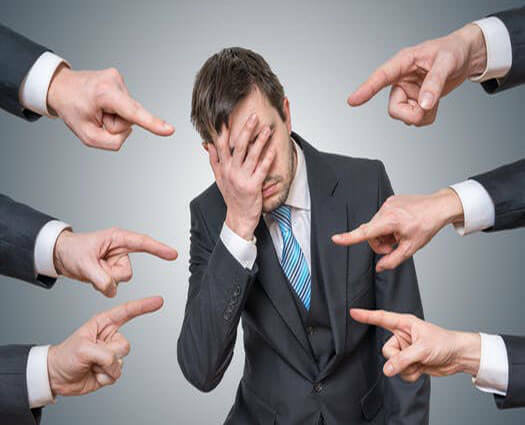 Time to Reset Accountability in the Workplace - Office Ethics Inc. Ethical dilemmas come in all shapes, sizes and dollar amounts and can pitch a person’s career into crisis in a skinny minute. I will never forget the time I gave an ethics presentation at the Ohio Reformatory for Women in Columbus — the largest locked-down women’s prison in the state. The business class had read my latest book and was studying the topic of workplace ethics. She brought the house down, and I saluted her. She nailed the topic. Employees who are paying attention today are acutely aware of their culpability in the workplace: They must avoid being associated with ethical violations because they could someday be held personally liable for their actions or inactions — no exceptions. You may find yourself at any time on a witness stand under oath where you alone are responsible for your actions. Today, employees should be working in a “we get it” climate when it comes to their accountability on the job. Embracing accountability is a two-way street today. Both supervisors and employees are acknowledging each other’s accountability for their respective actions. Savvy managers are increasingly demanding relationships with their employees that routinely improve the ethical dimensions of a decision or practice. Such a partnership allows both parties to bring issues to the table without fear of being judged. Astute managers continue to work diligently to establish and maintain the ethical workplace. Why? Because the ethical office creates a significant competitive advantage. Management and employees are recognizing that the double or triple bottom line (as ethics are sometimes referred to) relates directly to healthy profits. To attain this return, I recommend operating on the “Three C’s of an Ethical Workplace. A Corporate Conscience established with an agreed-upon and documented code of ethics/conduct and/or a mission statement that articulates the company’s values and standards. These goals inspire all employees to strive to do the right thing. A Commitment to hold yourself and one another personally responsible and accountable for the company’s standards. People working in an ethical office believe they have a right and an obligation to all their colleagues to uphold their organization’s principles. Communication – Employees should feel free to embrace and even initiate the conversation about ethical issues. Discussions about “the right thing to do” become routine. Challenging someone if they step over the line is common, and it’s done by simply seeking a better way. Ethical dilemmas come in all shapes, sizes and dollar amounts and can pitch a person’s career into crisis in a skinny minute. To help you monitor your own accountability on the job, I offer what I call my Ethical Priority Compass®. Take care of yourself. Your accountability gives you no choice. You must protect your professional reputation and your financial and legal security — and do so aligned with your personal morals and values. This is not being selfish, this is just being smart. Take care of your company (and its customers). They deserve your best efforts and your loyalty. Take care of your supervisor(s). Sometimes ethical dilemmas can slide into slippery slopes of denial and rationalization, especially when you wish to support your boss. However, bosses deserve your professionalism and proactiveness. If you find yourself caught in a web of unethical behavior supporting your boss, circle back to your compass. Realize (1) you now have to take care of yourself because you’re involved; (2) you have to protect your company because it will be affected; and (3) your boss no longer deserves your loyalty or protection. No employee today can afford to become an active (or passive) co-conspirator in unethical, illegal, or immoral activity. Whatever your job title, your personal accountability is your challenge and yours alone. • If you know it’s wrong, don’t do it. • If you’re not sure, ask questions. • Keep asking until you get an answer. When it comes to ethical accountability in the workplace today, we should all be punching above our weight. We can’t afford not to!